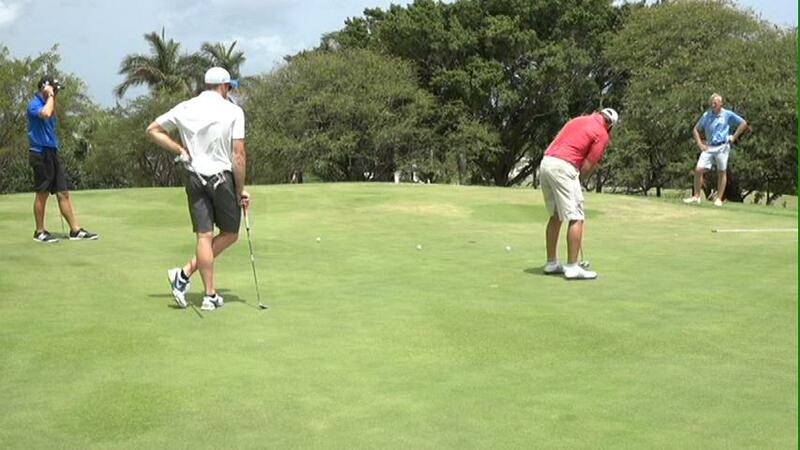 NIA CHARLESTOWN NEVIS (JULY 03, 2015) – Caribbean League players travelled from St. Kitts on July 01, 2015, to indulge in rounds of golf at the Four Seasons Resort on Nevis. The 2015 Hero sponsored Caribbean Premier League is an annual Twenty20 cricket tournament played in the Caribbean. 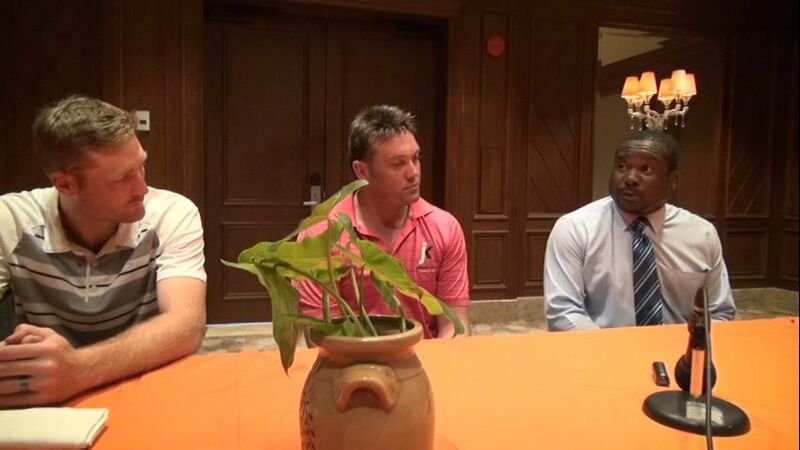 During a press briefing at the Four Season Resort’s Hibiscus conference room , Chief Operating Officer of CPL Ltd. Pete Russell expressed gratitude for the invitation extended to the players and himself. He also took the opportunity to invite Nevisians to the CPL games in St. Kitts. St. Kitts-Nevis Patriots player Mahela Jayawardene said that he was delighted to be in Nevis for the first time. He described the island as a little paradise which reminded him of his home [Sri Lanka]. Trinidad Red Steel player Jacque Kallis said that he enjoyed his visit and was thoroughly impressed with not only the golf course but the hospitality he received. Permanent Secretary in the Ministry of Sports Keith Glasgow welcomed the CPL delegation to Nevis. He expressed hope that the visit from the international players would inspire local cricketers to play harder to reach regional and international cricket levels.